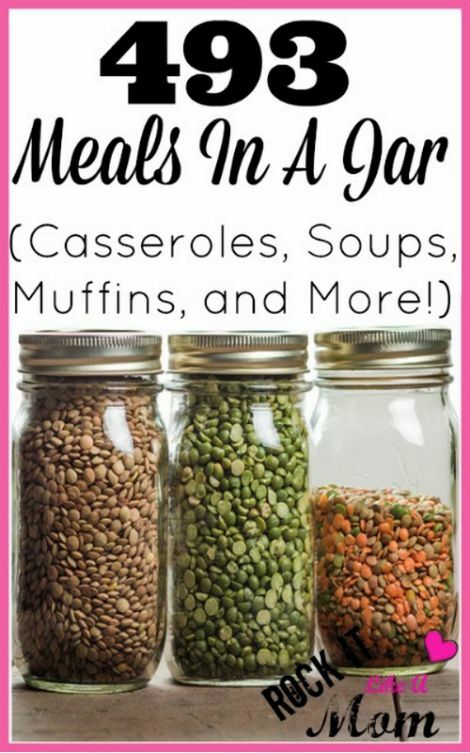 If you’re looking for ways to stretch your grocery budget and to cut back on meal planning and preparation, then consider these meals in a jar recipes. You can save both time and money with recipes to make muffins, biscuits, casseroles, soups, pancakes mixes, cakes, cookies, cobblers, dips, sauces, rice dishes, meat dishes, dressings, and so much more! This abundant and every-growing list of meals in jar recipes gives you much to choose from if you want to gift meals in a jar to family and friends. They are a thoughtful way to say thanks, welcome a new neighbor, and help a busy family.